Business travel accounts for $1.3 trillion of global spending annually (£39bn in UK alone) and this is set to rise at 3.7% per annum over the next ten years. With statistics like these, we thought it was well worth a look into the most interesting trends shaping this market. 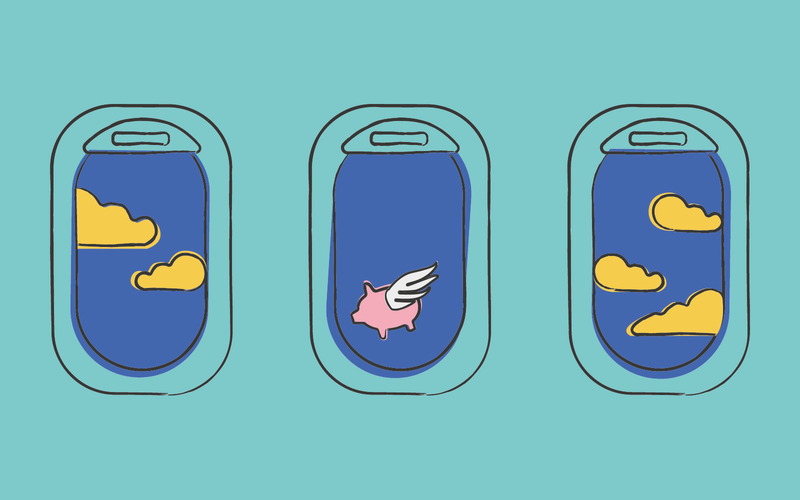 As we become accustomed to more personalised, seamless and connected experiences across all aspects of our lives, business travel is no exception. Our work with Sam:] by FCM Travel Solutions is just one example of how the travel industry is beginning to create ‘experience first’ strategies to meet corporate customer demands. AI Technology is driving this particular initiative as it seeks to enhance the traditionally unpredictable, slow and often lonely airport travel experience. For example,‘Biometric boarding’ is now being trialled which is powered by technology that can recognise facial features and match them to a photograph taken earlier in the process at immigration. There is a still a long way to go but 2018 is sure to bring about new entrants, services and technologies that improve the business travel experience overall. ‘Bleisure’ is a term that has been coined for when business travellers extend their ‘business’ trip to a personal or ‘leisure’ holiday. Yes, we can all agree that the word ‘bleisure’ is horrible but the statistics for it’s impact are far from horrible. Booking.com found that 49% of business travellers are already extending their corporate trips to have more time to enjoy the destination. Pair that with 80% of Millennials planning additional personal time around their travels while on a business trip and you have a huge trend before your eyes. Some companies are already beginning to build packages that tailor to this trend. As this has been driven by Millennials it is therefore no surprise that it is also forcing business travel to embrace the sharing economy. According to the 4th Business Travel and Technology Survey by Egencia, in the past year, 25% of UK business travellers have made use of a shared economy lodging service like Air BnB and a further 44% are now considering it. Over the past few years we have witnessed the big players of the travel industry fighting for control of their markets. Airlines have purchased airlines, mega-hotel companies have acquired both large and small hotel chains and online booking companies have swallowed up smaller businesses. This is creating new opportunities and threats for many of the players in this space. Just 15 years ago, budget airline market share was only 9% in Europe, and has now increased to 40% in Western Europe. As they continue to build economies of scale, we will see the battleground shift from price to value-added services, especially within the corporate traveller landscape. For a while now we have seen hotels put a big push on taking back control of their on-boarding process by encouraging customers to book direct and therefore removing online travel agents (OTA’s) from the process. OTA’s have undoubtedly revolutionised the industry, however they are having a big impact on brand loyalty and have high commission prices. In order for hotels to drive direct bookings, this has to go beyond huge advertising campaigns, competitive pricing and cancellation policies to better brand loyalty programmes and personalised marketing offers. This is especially important within corporate travel and we are set to see the need for these services increase in the coming year. At Underscore, we are privileged to work alongside some of those who are innovating within and shaping this market, so let’s see what 2018 holds.